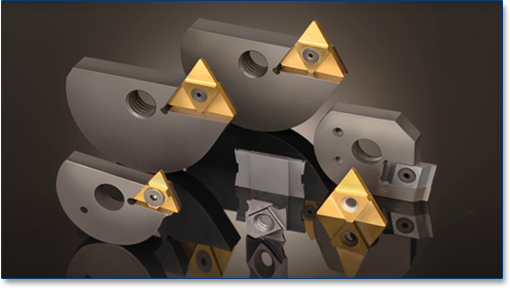 The Brown and Sharpe Davenport carbide cutting tool systems feature cut off tooling and multiple inserts for a variety of machines, including Tornos, CNC, ACME and New Britain. The systems are manufactured with ten percent Micrograin and are PVD Tin coated. Special grades and coatings are also available. Other cut off features include ground chip breakers and multiple cutting edges that allow for continued usability if an edge chips or breaks.